Levi Strauss & Co is suing two companies in China over trademark infringement for using its iconic double arch on jeans. The company is seeking the destruction of the products and $US47,000 in damages. The lawsuit comes as the US eyes China’s endemic intellectual-property theft, which many believe President Donald Trump wants to take action against shortly. Levi’s was recently pulled into threats of a trade war by the EU which said it would put tariffs on the company if Trump moves ahead with steel and aluminium tariffs. 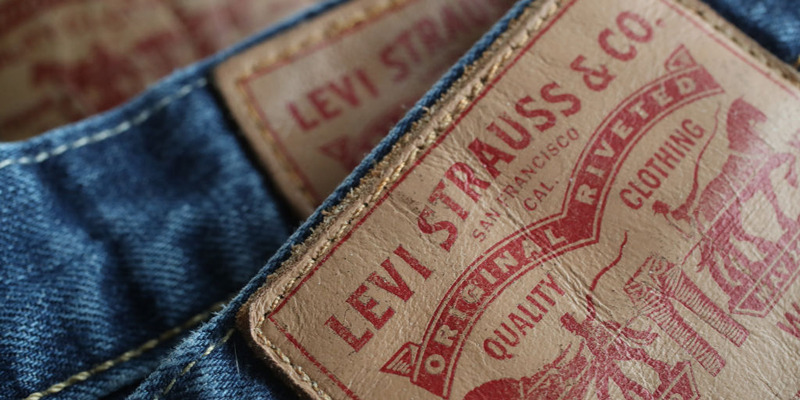 Levi Strauss & Co is suing two companies in China over trademark infringement, as talk of a trade war that could directly affect the US denim icon heats up. The company confirmed to Business Insider that it began legal action last year over Chinese companies using an arch-like curve, a trademark stitch pattern that Levi’s sews onto the back pockets of its denim jeans. The local Beijing court handling the matter posted details of this week’s proceedings on its WeChat page. 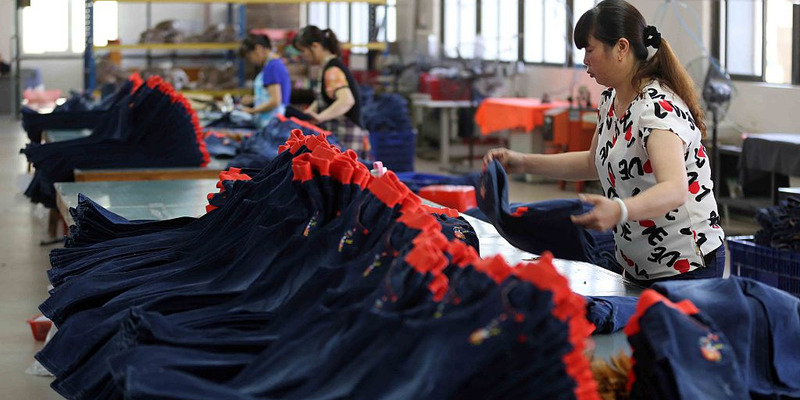 Levi’s appeared to be suing China Business Management Co. Ltd and Guangzhou Shenglian Garment Co. Ltd. for using the “same or similar logo,” according to the court. Levi’s is seeking $US47,000 in damages and is asking for the goods to be destroyed and for the manufacturers to publish a statement in a Chinese intellectual-property periodical. The US company has had success in the past in defending its trademark in China. In 2012, Levi’s won its first stitching infringement case in China against a local brand that used a similar design. The company sought $US150,000 in damages but, because it could not prove the number of infringing jeans that were sold, it received a third of that. 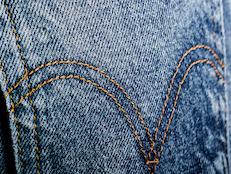 Over the last few decades Levi’s has applied for at least 11 trademarks of its pocket stitch design, according to one trademark database searched by Business Insider. Only two have been approved. Aside from expected categories like clothing and accessories, the company applied to protect the design being used on false hair, wedding dresses, printer-ink ribbons, rosaries, and fitted toilet lid covers. It also sought to have dozens of businesses, including bookkeepers, vending-machine rentals, and veterinary medicine wholesalers, prevented from using the symbol. STR/AFP/Getty ImagesChinese workers making jeans at a clothing factory in Shishi, east China’s Fujian province. The scope of Levi’s applications is standard practice in trying to prevent other companies from using another brand’s intellectual property, a practice which is commonplace in China. Two former senior US defence officials told The New York Times last year that Chinese intellectual-property theft costs the US as much as $US600 billion a year. And while US-China relations are currently focused on steel and aluminium tariffs, US President Donald Trump intends to target intellectual property theft next. And on Thursday White House trade adviser Peter Navarro said Trump will get recommendations on China’s theft in coming weeks. “This will be one of the steps – one of the many steps – that the president is courageously going to take in order to address unfair trade practices,” Navarro told CNBC Television. But even before discussion begins on tackling intellectual property theft, Levi’s itself has been targeted in a potential trade war. In response to Trump’s tariffs, the president of the EU’s governing body, Jean-Claude Juncker, said it would put tariffs on iconic US products. “We will put tariffs on Harley-Davidson, on bourbon and on blue jeans – Levi’s,” said Juncker. It’s a smart move if only based on the politics of their headquarters. The two companies are based in Wisconsin and California, whose House representatives include, respectively, Speaker Paul Ryan and House Minority Leader Nancy Pelosi – exactly the sort of leaders that countries want to pressure into changing Trump’s tariffs.